Framework agreements are “umbrella agreements” that spell out the terms and conditions under which contracts will be awarded in the stated period. They are common in the business world and are mainly used when the buyer is in need of products or services for a specified time period, but they are unsure of the quantities or the scope. They are formal documents used in business circles. 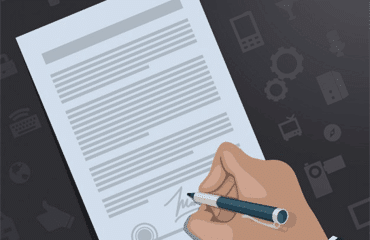 Writing these agreements can be a daunting task for beginners and those who are not used to writing the documents frequently. 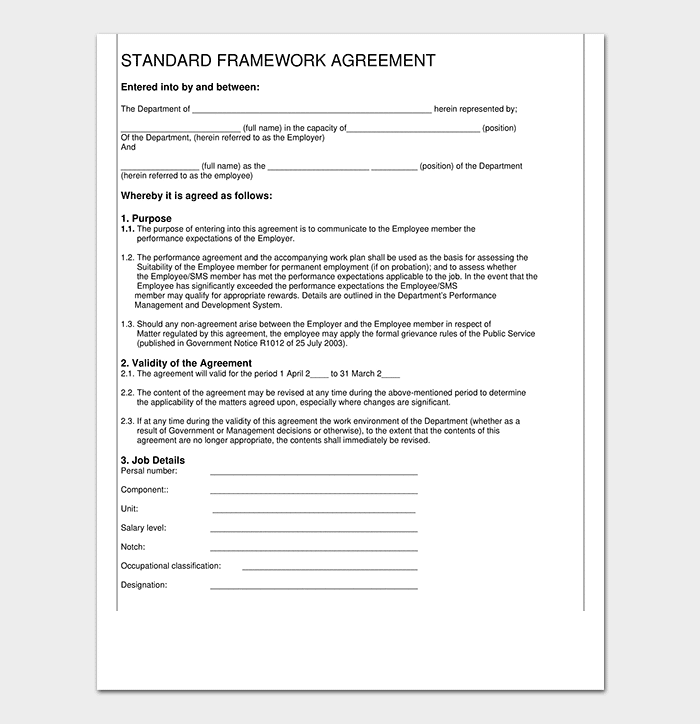 A framework agreement template, in this case, will come in handy to save the situation. 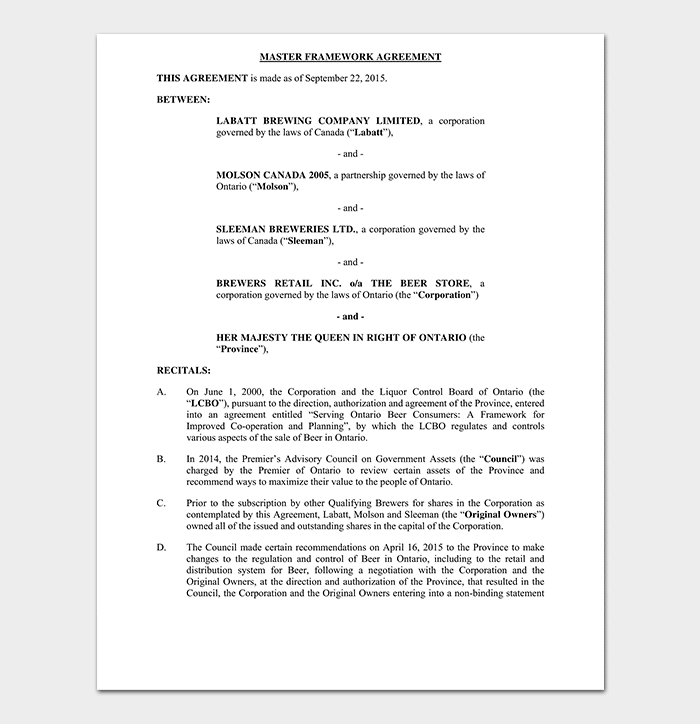 This agreement is used in the case where the contracting authority is in need of services. 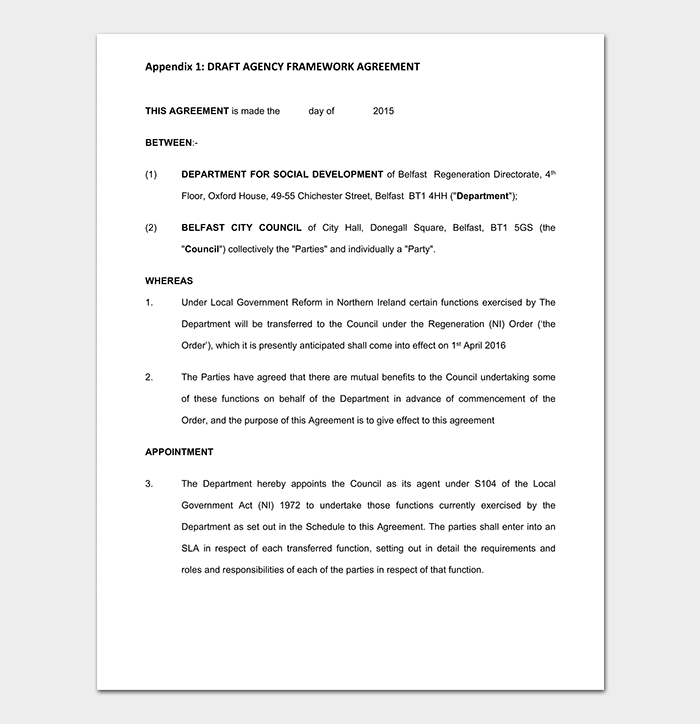 The framework service agreement states the services to be offered and the time. The scope of the services is not indicated in the agreement. 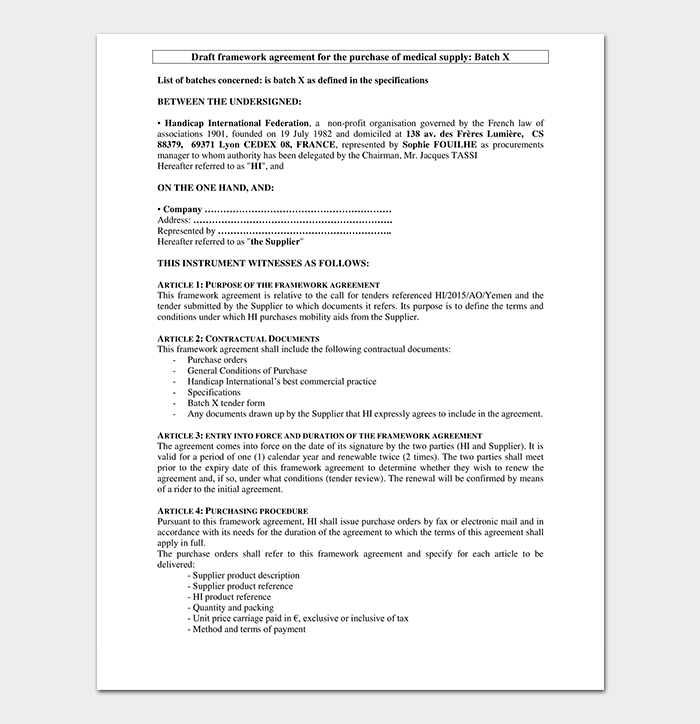 This framework agreement is used when the Contracting authority is in need of goods. 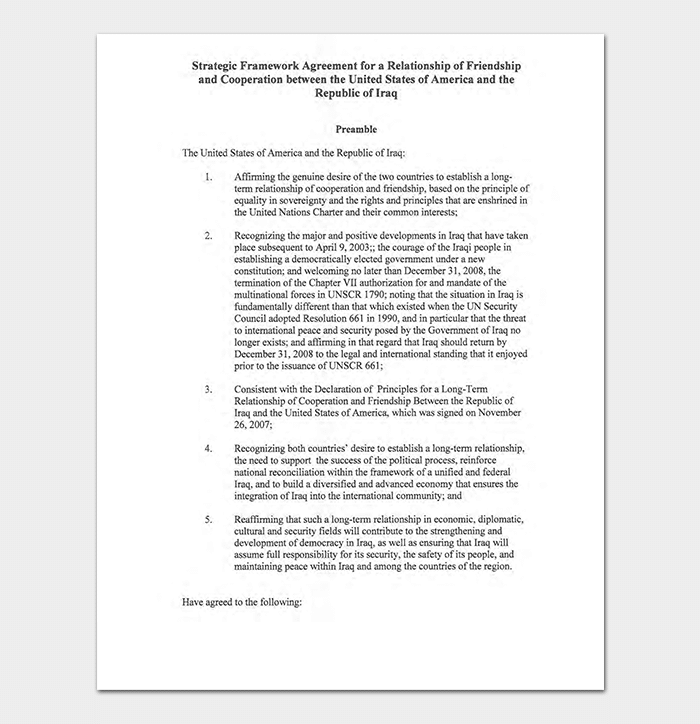 The terms of the agreement are indicated only that the qualities are not clear. A framework agreement is an agreement between the buyer and supplier on non-quantified goods and services to supply over a specific period. The framework doesn’t guarantee that the supplier will get business from the buyer. On the other hand, the contract is an agreement between the two parties that spells out the scope and quantities of goods or services that will be supplied to the buyer. Here the supplier has a guarantee they will supply their goods to the buyer. 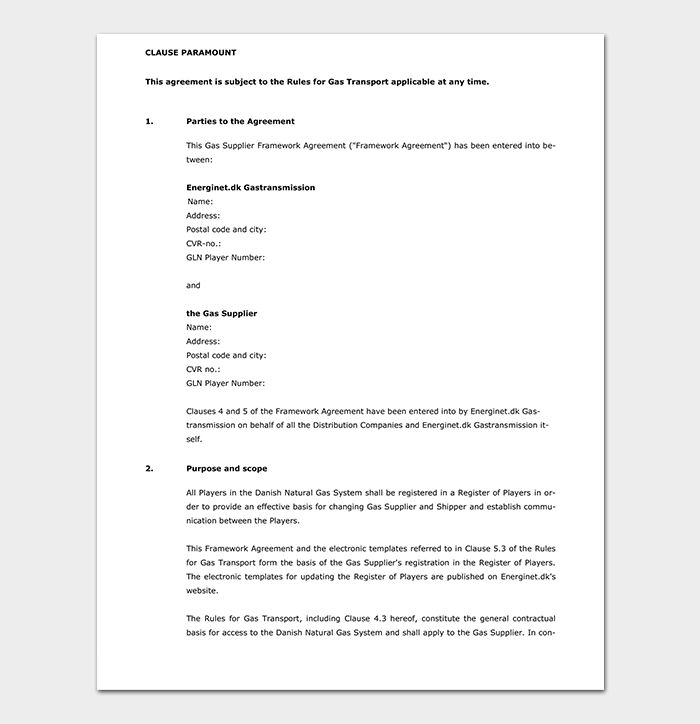 Single supplier framework agreement. In this case, the buyer issues contract to supplier based on the terms of the frameworks but has the option to request the supplier to narrow down to specific finer details. Multi-supplier arrangements that is clear on terms under which the contract can be canceled with no further agreements. The supplier in question is one who ranked first and in their absence the second best. Multi-supplier arrangements that do not spell out all the terms for awarding of contracts. Multi-supplier arrangements that permit a contract to be canceled without contest. 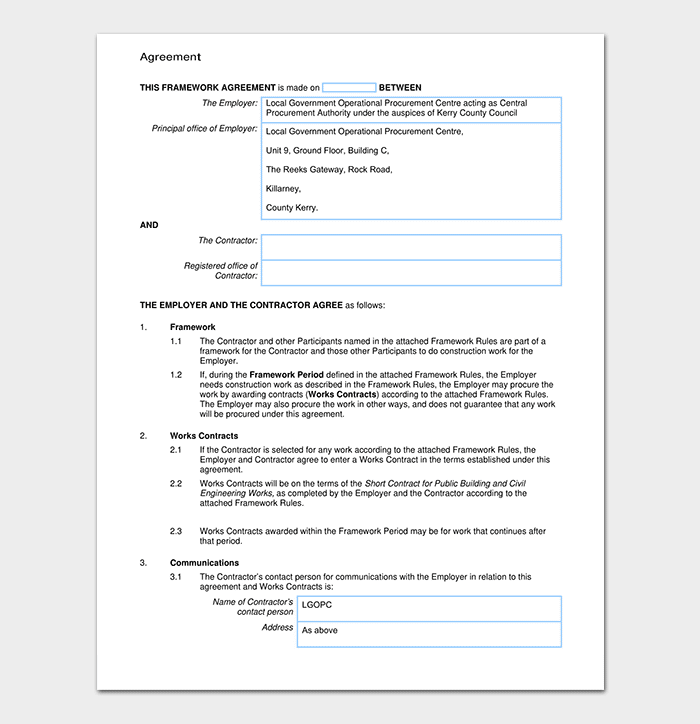 A supplier can secure several contracts under one framework agreement. It is an excellent way of establishing long-lasting relationships for both suppliers and buyers. Reduced administrative work when awarding contracts since the terms are already spelled out in the framework agreement. The buyer can enjoy economies of scale since the agreement covers a long time. The buyer can quickly seal a deal with a supplier since they are already in agreement on most aspects of the purchase. The framework agreement isn’t a guarantee that the supplier will get business from the purchaser. As a supplier, if you did not qualify to be included in the framework agreement, you will be locked out of the contracts for the entire period of the agreement. The Agreements do not cover innovations or suppliers that may arise in the period of the agreement. The buyer cannot introduce a new requirement to pre-qualified suppliers in the agreement period. The framework agreement favors the buyer more than the suppliers since the buyer has no binding contract to purchase goods or services from the suppliers.